“Hi I’m Arnold! 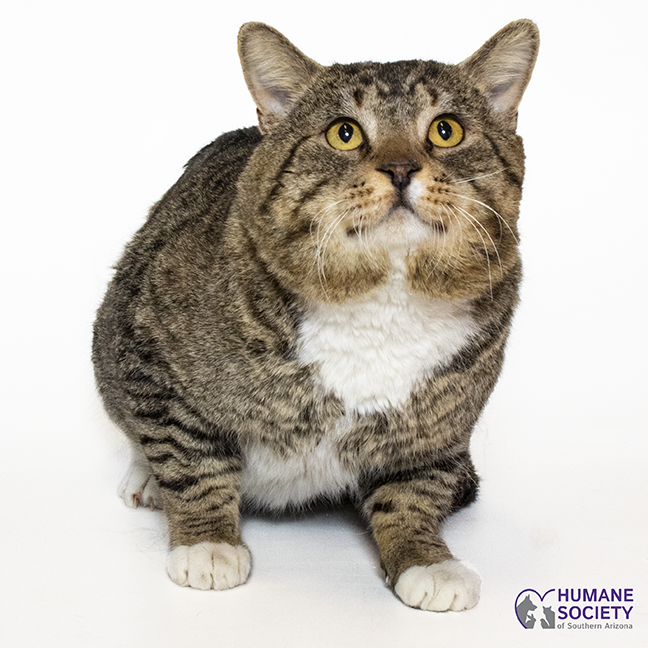 I am a 5 year old boy who came to HSSA as a stray. I was living with other feral cats in my old neighborhood before coming to the shelter. I am looking forward to an indoor life with my new, forever family! I would do best in a home without other cats but I’d love to meet the kids in your home!" Visit Arnold at HSSA Main Campus at 635 W. Roger Rd. or call 520-327-6088, ext. 173.